With technology evolving in leaps and bounds, it’s essential for sales teams to ensure that they stay ahead of the curve in an increasingly competitive landscape. While scaling up tech-wise can seem like a daunting prospect at first, there are numerous ways in which businesses can ensure they stay relevant in this day and age. Brands with their finger on the pulse know there are two key issues which require particular attention and are especially inclined to swift change: data and communication. The two work hand in hand to help businesses stay attuned to customers’ needs and create close, long-lasting relationships based on mutual trust. Advances in AI-based software are being embraced by businesses across the planet, with AI bots able to help sales teams improve customer experiences and better analyse their requirements and expectations. 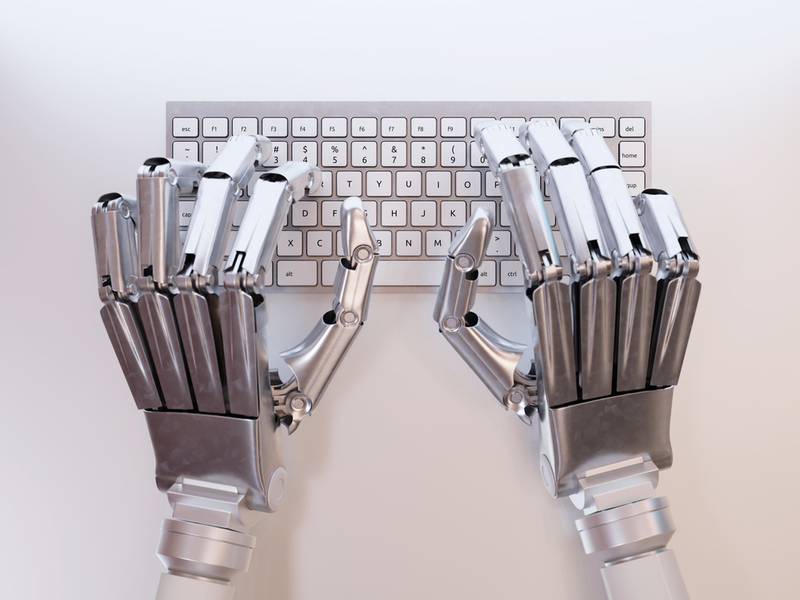 A bot, to take the definition provided by Merriam-Webster, is quite simply “a computer program that performs automatic repetitive tasks.” To apply this to the subject at hand, bots can help automate interactions and engagement with brand content on a large scale. According to research by Salesforce, 64% of consumers and 80% of B2B buyers expect companies to respond to and interact with them in real time. Unsurprisingly, that figure is even higher when it comes to millennials – 66% of them take instant communication for granted. Nowadays, communication between brands and their clients is faster than ever. While in the past getting in touch with a company usually meant picking up the phone, today’s customers interact with businesses via their website, social media, messaging apps and email, expecting a response ASAP. This puts a lot of strain on sales teams, but it’s worth the effort – a query that gets an answer within five minutes as opposed to thirty is 21 times more likely to lead to a purchase. How can sales and marketing teams keep up to speed, especially smaller ones? The answer is – you’ve guessed it – bots. AI-based chatbots, either through a purpose-built app or a pre-existing text messaging system such as WhatsApp or Facebook Messenger, are able to greet customers, point them in the direction of products they may be interested in and manage more basic queries, handing customers over to sales agents when a “human touch” is required (though advances in Natural Language Processing are making it increasingly difficult to tell if you’re talking to a real person or not). Chatbots take the weight off sales teams and enable them to concentrate on issues that require advanced problem-solving skills, while ensuring customers feel their needs are being attended to. Basically, a win-win situation for everyone involved. In an increasingly competitive ecommerce landscape where their attention is constantly solicited, it’s no secret that nowadays you need to go beyond “If you recently purchased this, you may be interested in this” when it comes to customer experience. Technology now makes it possible to make every last marketing email, pop-up or text read like a message from a trusted confidant while pointing customers in the direction of products and services they’re almost guaranteed to be interested in. 84% of consumers state that being treated like a person rather than a number is important when it comes to winning the business. The thing is, how do you guarantee a personalised experience to each and every customer? As we’ve seen above, bots do a great job when it comes to helping support and sales teams keep customers happy and engaged. By keeping tabs on individual customer preferences, they can also boost sales by effectively encouraging additional purchases and upselling when appropriate. Bots can provide product recommendations within a given website – i.e. the Amazon model – and then go on to suggest further purchases via a user’s social media feeds. A few years ago, Facebook launched Facebook Audience Insights, a tool designed to provide marketers with analytics about their target audience and enable them to track the impact of their campaigns through data drawn from geography, demographics and purchase behaviour. Using information such as page likes, the amount of time users spend watching a video and the number of clicks that stem from a given ad, Insights helps marketers target consumers with tailored content that truly meets their needs. Used in conjunction with Messenger chatbots to engage with customers in real-time, it’s true marketing dynamite. Lead qualification is obviously an essential part of your businesses’ day-to-day operations, but it’s also a huge investment of both time and money. It’s important to take the time to nurture quality leads but also ensure that those that are less of a good fit don’t feel left by the wayside. Bots’ ability to gather and analyse cross-channel data is yet again what makes them essential to sales teams. They welcome customers as soon as they alight on your homepage, ask a few questions about what they’re looking for and send them in the direction of the most appropriate sales rep, for a fraction of the cost of hiring extra personnel. Human agents are therefore able to stay focused on the more high-quality conversations and take the time to ensure they close the deal. Chatbots themselves can provide assistance to leads with a lower chance of conversion and make sure they have a positive experience with your brand, even if your products aren’t quite what they’re looking for (but who knows what the future will bring?). Lead bots are an asset to any sales team but are particularly beneficial to those with less experience and smaller companies. Basically, they keep the conversation flowing while helping you find out exactly where your customers are on their sales journey. In conclusion? If bots aren’t already part of your strategy in this day and age, you’re missing out. By providing valuable insight and automating key tasks, bots are what’s needed to take your sales to the next level. Guest article written by: Michael Deane is one of the editors of Qeedle, a small business magazine. When not blogging (or working), he can usually be spotted on the track, doing his laps, or with his nose deep in the latest John Grisham. Nice post. technology is taking over most things and in the process it is making life easier for mankind. Bots I think are good option for communication as it is faster and easier. Previous post: Do your staff need iPhones to make the most of working on the move?